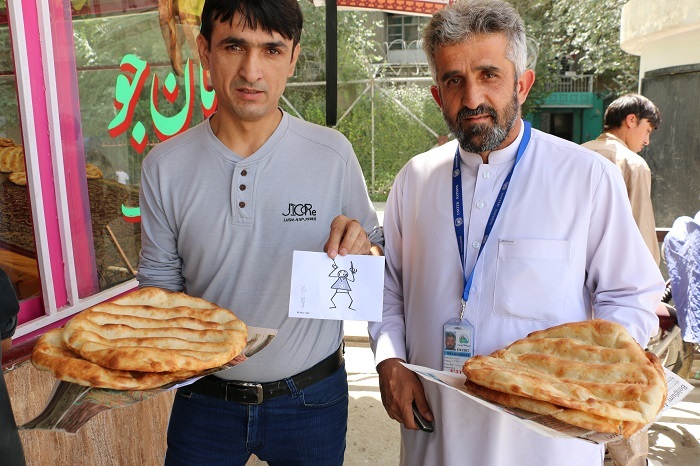 Afghanistan: Elyx fights malnutrition in Kabul! On this beautiful autumn day, Elyx decides to make a stop in Kabul. Some WFP friends are waiting for our Digital Ambassador to show it their actions in Afghanistan! The issues faced by the Afghan people truly sadden Elyx. Indeed, Afghanistan is a beautiful country that has been ravaged by decades of terrible hardships and conflicts. With more than half of the population living under the poverty line, Afghanistan is one of the poorest countries in the world and the needs of the people are immense. Yet the Afghan people are strong and weather these challenges. 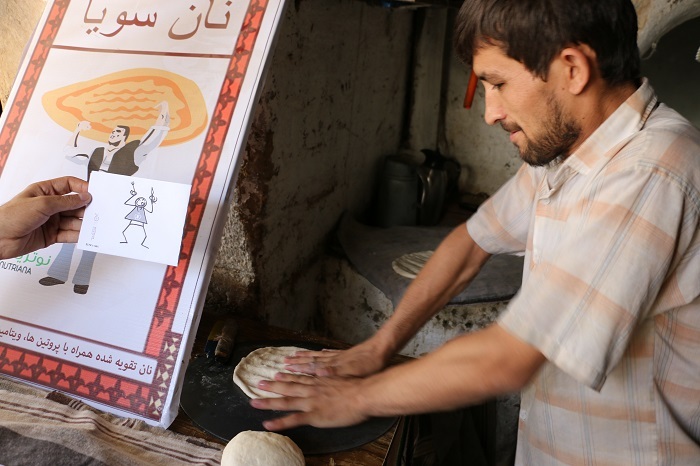 Elyx admires an Afghan baker cooking the famous afghan wheat bread called “naan” (WFP/Djaounsede Pardon). The numerous conflicts had tragic consequences in Afghanistan, particularly for food security. Today, the needs are enormous and WFP’s task is colossal. 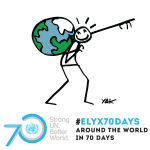 Elyx is so thrilled to meet its friends at WFP and to see their amazing work! Members of WFP work together with NGOs, such as Nutrition Education International, and since 2006 they have been supporting and supplying the bakeries of Kabul. The WFP helps local producer and smallholder farmers with the Purchase for Progress (P4P) programme (WFP/Djaounsede Pardon). The favourite bread of the Afghan people is the “naan”, a wheat bread with soy. This traditional bread plays an important role in the fight against micronutrient deficiency, which is crucial in a country where 14% of the population is affected by food insecurity. 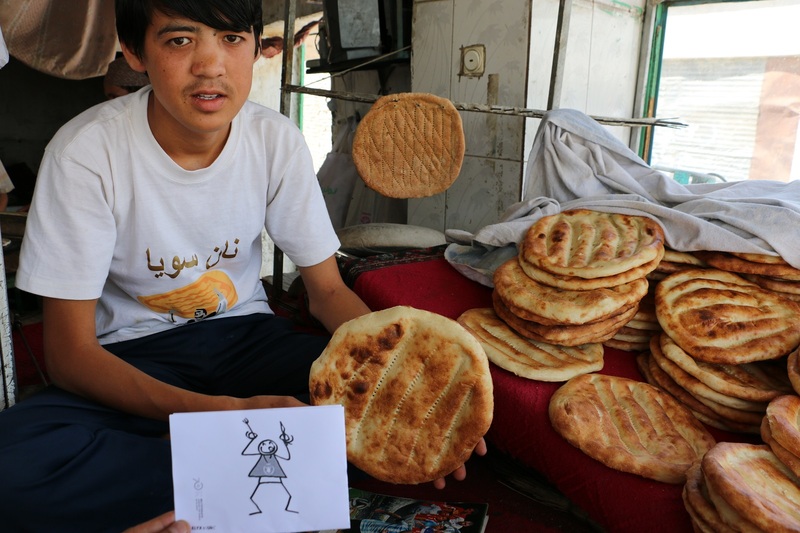 Elyx learned that this WFP programme is very important to the country, as many people depend on the naan production. Therefore WFP works with local producers and smallholder farmers, who stimulate the local economy and the development of the entire food supply chain. Elyx is very impressed by the amazing work done by the WFP and the NGOs in Afghanistan. Elyx is very sad to leave its WFP friends and the warmth of the Afghan people! Stay strong and see you soon beautiful Kabul!